Users with disabilities are often accessing their computer in non-standards ways. A short overview of the most typical needs will be given, as well as a reference to the benefits of accessible implementations to non-disabled users. 1. United colours of kcontrol: One in 20 men is colour-blind or in partially sighted in other ways. There is no general rules which colours can be safely be seen by everyone, which means that applications and widget styles need to do react correctly to global colour settings. 2. One size doesn't fit it all: Screen sizes, eye sight and preferences for text sizes vary. It is necessary to make applications and widget styles scale well in all of the possible problematic situations. 3. Mouse traps: Not everyone is capable if using a standard mouse and standard keyboard. There are also situations for "normal" users where the mouse is broken or where keyboard usage is quicker. 4. Time is relative: Young children, elder people, ill people or users with mobility impairment can have difficulties with hard-coded timeouts within the user interface. Typical examples for problems will be given. 5. Let Qt do the sophisticated stuff: A very short general overview of the Qt Accessibility framework and its connection to screen readers and other assistive technologies will be given. 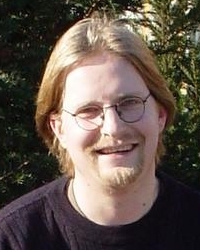 Olaf Schmidt is a co-founder of KDE Accessibility and of freedesktop.org Accessibility. He has been involved with KDE and accessibility since 2002, is cooperating with the usability team in writing the new KDE Human Interface Guidelines, and is representing KDE in a number accessibility groups and towards the accessibility departments of other free software projects.